Earlier this week, I read an article from a long-time friend and colleague, Cheryl Conner, at Forbes magazine. It’s entitled “‘I Quit!’ How to Handle a Resignation With Class.” The story recounts an interesting experience that a professional recruiter had when she decided she’d had enough of what Conner called “…a terrible company culture” and not only announced her departure, but also accompanied it with what Conner delicately refers to as “…unvarnished feedback in a letter she shared with me and the rest of the world.” This article is eminently worth reading, and I encourage you to check it out, if you want to read more about how an apparently talented and motivated person managed to make a graceful exit and also unburden herself of some important observations and information, however unwelcome it might have been to her soon-to-be-former employers. 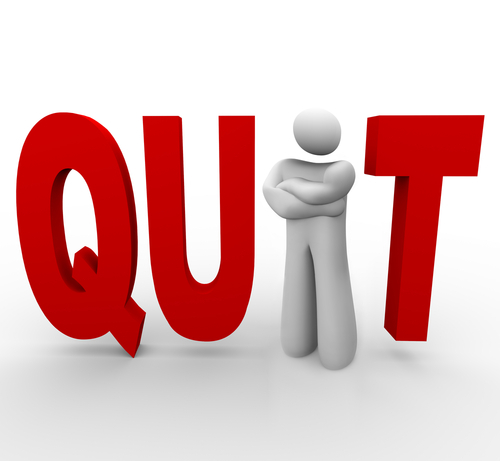 If and when you leave a job, be careful about the feedback you provide as you exit. After you’ve been in the workforce for a decade or longer, even if you’ve been with the same employer the whole time, there will have been at least one or two occasions on which the thought of leaving — be it for greener pastures, less stress, different circumstances, a better boss or whatever — will no doubt have crossed your mind. When making an exit, the temptation to start singing the old Johnny Paycheck country standard, “Take this job and shove it” has been known to crop up in more cases than any of us would probably admit, with additional lyrics to embroider the circumstances for each individual departure from that scene. 1. You’re going to have to include that position, and identify that employer as part of your work history. As you hit the job trail again (unless you’re lucky enough to already have an offer in hand when you quit), that position will be at the very top of the “Prior Work Experience” section in your resume. Count on this, then: that prospective employers will be checking in with this company to see what they can learn about you, your skills and knowledge, your work ethic, and whatever else they can find out. Sure: most companies’ official policy is simply to confirm position and dates of employment, but personal networks can make it possible for deeper connections to elicit additional information “off the record.” Are you really willing to take the chance that this might come back and bite you? 2. Is it really about sharing important feedback and useful observations, or about venting your spleen at the way you’ve been (mis)treated? If it’s the former — as it was for the subject of Conner’s story in Forbes — then it may indeed be worthwhile to go public with your feedback. Otherwise, you may be telling more about yourself and your psyche than about your soon-to-be-former employer. Nobody likes whiners, cry-babies, or spoilsports. If you can’t stop yourself from taking this route, don’t do it publicly until you’ve done it privately with close friends and mentors, and received their blessing to go ahead. 3. Why not let bygones be bygones? If you can learn from your own experiences, and take that improved knowledge and understanding with you to your next job, could that possibly be enough to sustain you going forward? In this day and age the old adages about “You are your own brand” and “You work for yourself, no matter who signs your paycheck” are worth balancing against the satisfaction that you might gain from spilling the beans about a bad time working for Company X. In researching her Forbes piece, Conner talked to other placement professionals about the pros and cons of providing feedback to an employer as part of the job exit process, and shared some interesting recommendations. First, it makes sense to share feedback with the employer, but will probably have the best effect — assuming that a change to a “terrible corporate culture” is the aim of providing such feedback in the first place — if delivered in private to a trusted boss, executive, or HR professional with whom the departing employee has some kind of ongoing personal relationship that will help to offset the difficulties in fielding strong and negative feedback with a perception of the integrity and worth of the person who’s providing that feedback. Second, numerous pros observed that this kind of thing — especially when aired publicly — has the potential to rebound on the person who provides negative feedback in a negative fashion. Remarks like “a red flag to any potential employer” and concerns about perception of anger or a lack of self-control were all voiced by some pretty senior placement people. Third, if you want your feedback to make an impact, it’s essential to keep things factual, unemotional, and to be as tactful (rather than blunt or painfully direct) in stating feedback as possible. In short, if you have to unburden yourself as part of what it takes to maintain your sense of self (and self-worth) and to provide a stimulus to make positive changes for those your leave behind, it’s a good idea to share your feedback on your way out. But you should do so in a way that will maximize the chances of making a difference in the wake of your departure: be tactful, find a high-level champion for your ideas, remain positive and professional, and deliver the message through appropriate channels even if you also go public with same. On the other hand, there should be extremely compelling reasons for you to take such an extraordinary and possible career-limiting move. Otherwise, it probably is best to let bygones be just that, and to use what you learned to steer clear of such situations in the future.